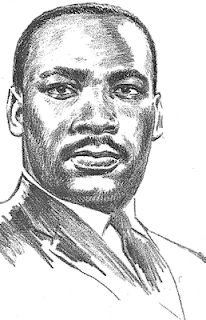 Brother Jesse Blog: Dr. King then and now....what would he do? Dr. King then and now....what would he do? This upset me because I wondered why we were not taught these things in school. And this cycle continues in 2009 with schools force-feeding our young people a watered-down Dr. King by omitting his post-“I Have a Dream” years. Yet, if Dr. King were here today, his life would be on the line, not because of his efforts to integrate, but because he still would be considered an unsafe Black leader in the eyes of the government. The outgoing Bush Regime has prosecuted an unjust war in Iraq and if Dr. King was here today, he would be beating the drum of the anti-war movement and would not be silent. Dr. King would be speaking out against the slaughter of the innocent Palestinians. He would have condemned the killing of Oscar Grant and the corruptness of police departments throughout the country. He also would be speaking out against Black on Black violence. Dr. King would have condemned the Katrina response and the slothful rebuilding that is taking place in New Orleans. He would have marched for justice in Jena, Louisiana and would be advocating for the release of death row inmate Troy Davis. Dr. King would have backed President-Elect Barack Obama and I believe would be sitting on the platform with him on January 20, 2009 at the Inauguration. But at the same time he would still be pressing our people to take responsibility for their community. I believe he would want us to honor him, not with parades, floats, songs, dance, plays, speeches, and t-shirts, but by embracing and backing those in our midst today that are taking a stand against injustice. Great article, I listened to the entire speech on CNN today and I learn something different every time I hear it. If I haven't told you, I'm proud of all you are doing. Keep it up. Your Big Bro Ed.